Jeopardy! question: What did Alex Trebek just sign? This A-lister will have to wait a few more years for a chance to host one of America's premiere game shows. Actually, this one wouldn't fly on "Jeopardy!" because there are numerous answers. 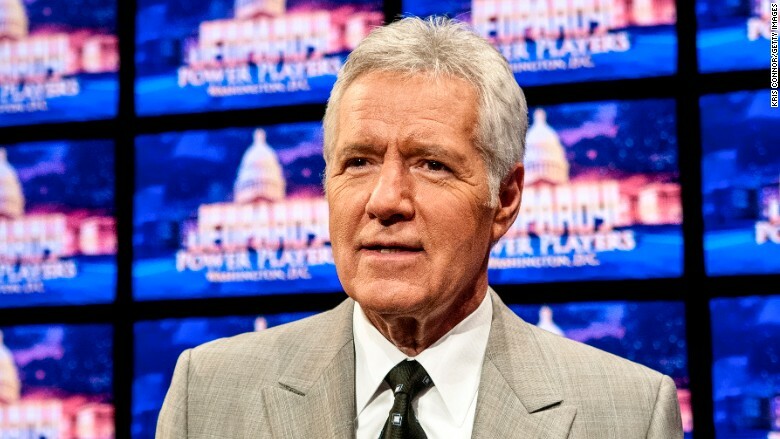 The game show's long-time host, Alex Trebek, has renewed his contract, according to an announcement on Wednesday by the show's producer, Sony Pictures Television. So have Pat Sajak and Vanna White, the hosts of "Wheel of Fortune," the main TV companion to "Jeopardy!" The contracts were coming due in mid-2016. Now they'll continue through mid-2018. "Wheel of Fortune" and "Jeopardy!" remain remarkably popular. They typically have north of 10 million viewers a night. Sony and the distributor of the two shows, CBS, surely don't want to mess with success. But the producers still have to think about succession planning, particularly for Trebek, 74, who has talked in the past about retiring. "Jeopardy!" is a coveted job: it's high-profile, the schedule is pretty simple (because a week's worth of episodes are taped on a single day) and the salary is huge (Trebek reportedly makes $10 million a year). So, unsurprisingly, no small number of television anchormen, entertainers and other media bigwigs have let Sony know that they'd like to be considered if Trebek decides to step down. Executives have a mental, if not official, short list of potential successors. The list includes sports radio and television host Dan Patrick; CNN anchor Anderson Cooper; NBC's "Today" show co-host Matt Lauer; and NBC Sports anchor Josh Elliott. Some of the men already have connections to the game show. Patrick hosts a spin-off, "Sports Jeopardy!," for Sony's Crackle web site. Cooper has been on "Jeopardy!" several times as a celebrity contestant. Rumors about the Lauer possibility led Trebek to joke in 2013, "If Matt Lauer would come over to 'Jeopardy!,' I'd be happy to take over his job on 'Today.'" Of course, all of the aforementioned stars are under contract with various networks, and who knows what might happen between now and 2018. Or beyond: Trebek said in an interview with The Hollywood Reporter last year that he'll "stick with it as long as I'm having a good time and as long as I feel my skills haven't diminished too much." When the possibility of a successor came up in the interview, Trebek suggested "someone like Brad Rutter," a winner of two big "Jeopardy!" tournaments.The name of Ken Jennings, who famously won 74 times in a row in 2004, has also come up in the past. Or, Trebek said last year, it "could be a young broadcaster in another part of the country." One thing's for sure: many broadcasters would like to win the "Jeopardy!" job.